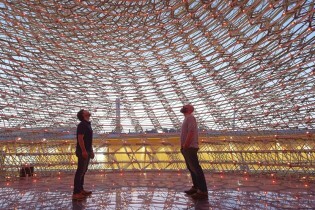 169,300 components later... a fully formed Hive. 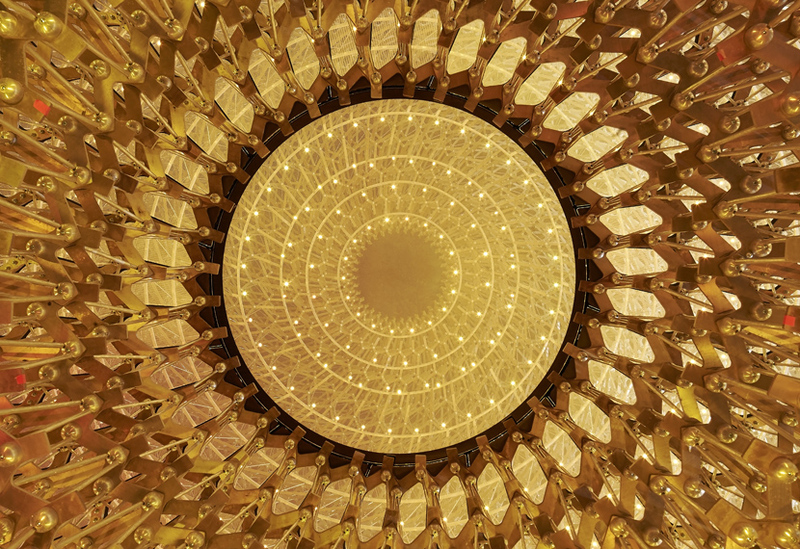 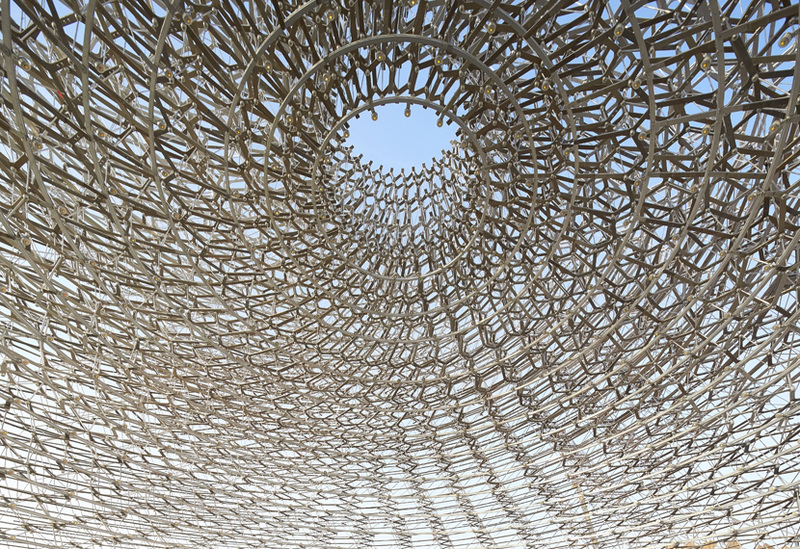 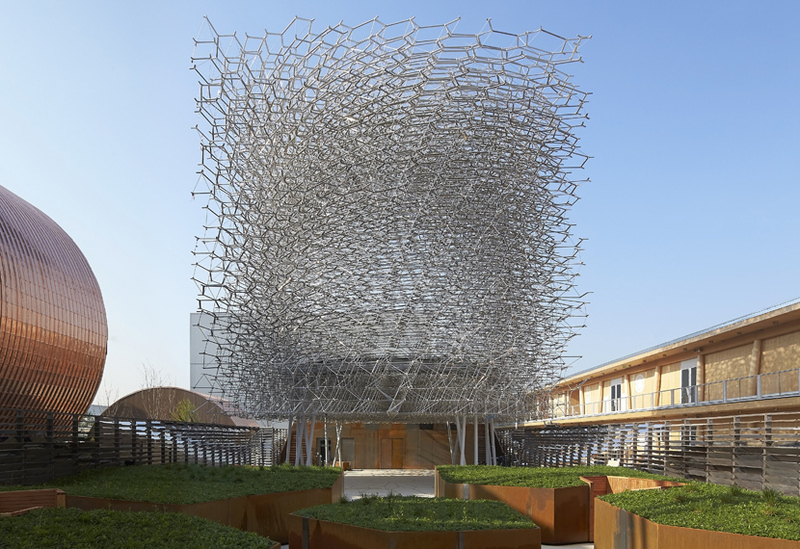 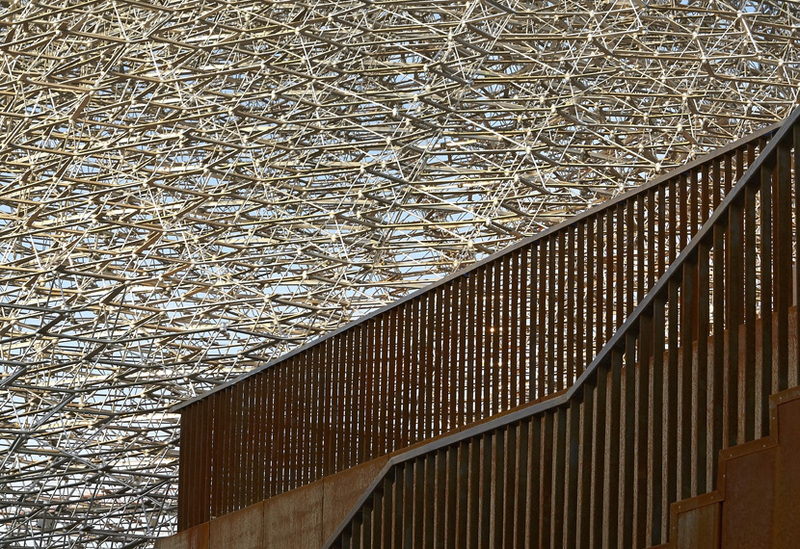 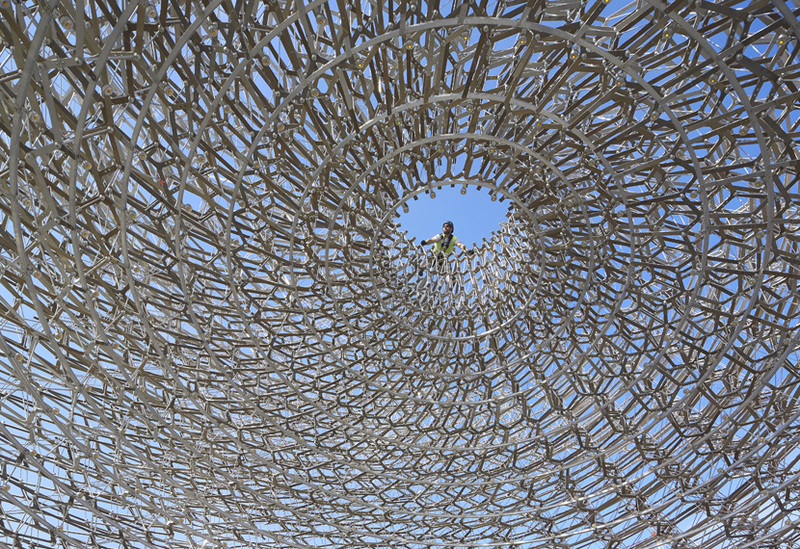 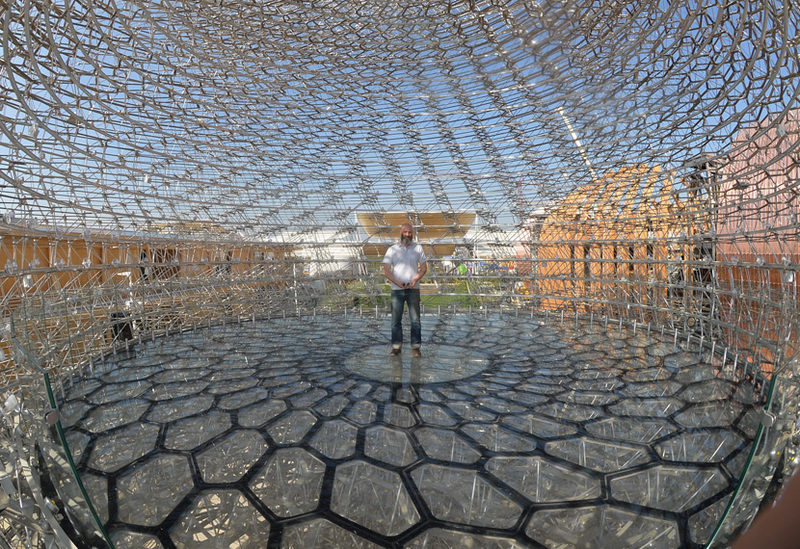 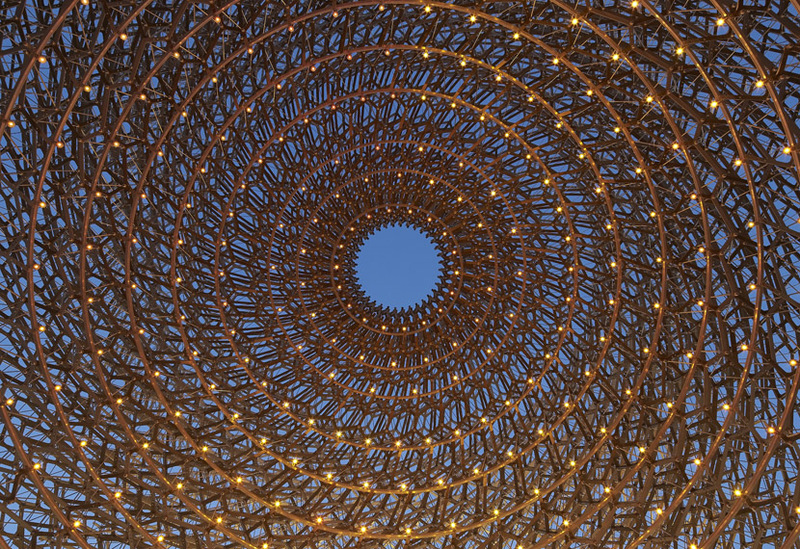 These beautiful images from photographers, Hufton & Crow, show the Hive in all its complex and intricate glory. 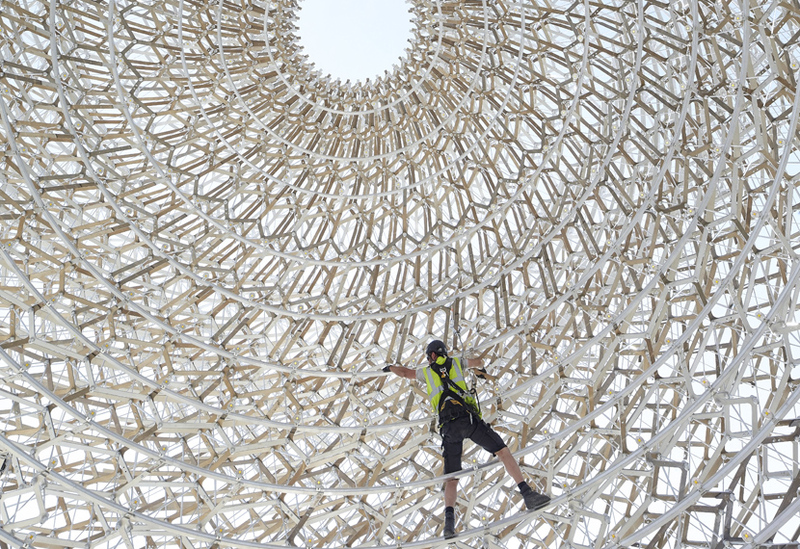 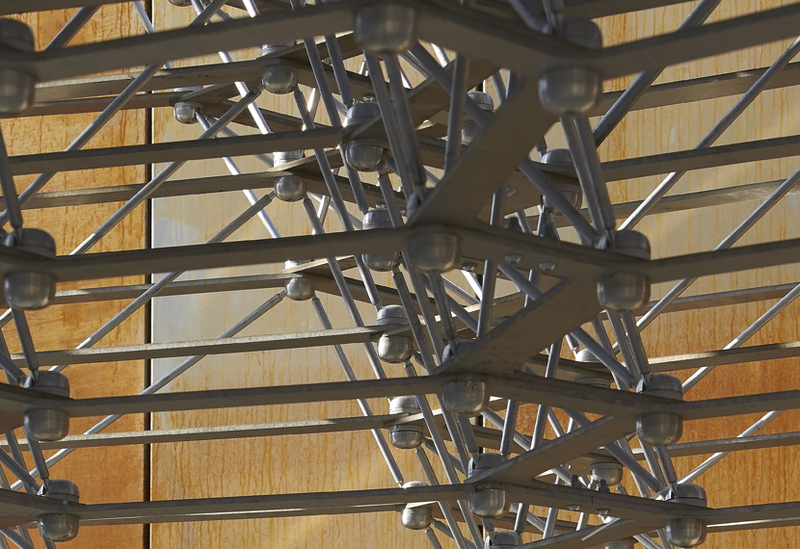 From a distance, the pavilion mimics the apparent chaos of nature, yet close up, the detailed geometry of the structure is revealed. 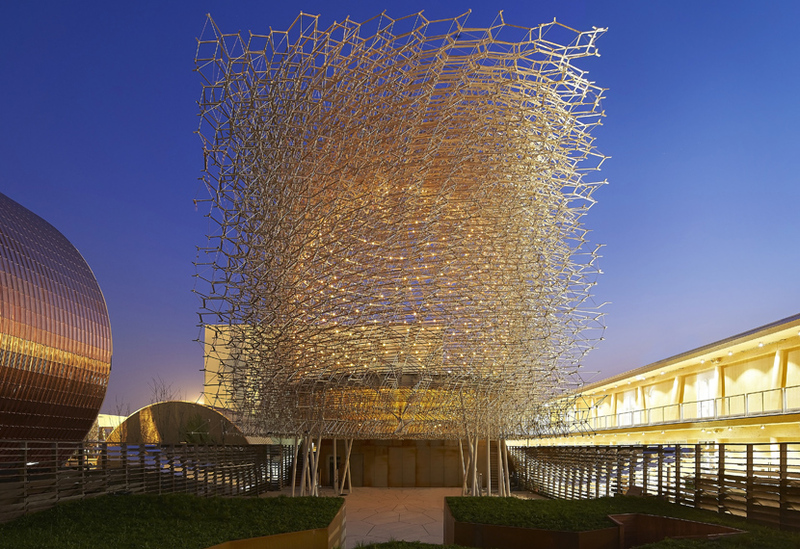 With a total of 169,300 individual components, this was an extremely complex project but one which played to our strengths, confidently holding the ground between art, architecture and engineering. 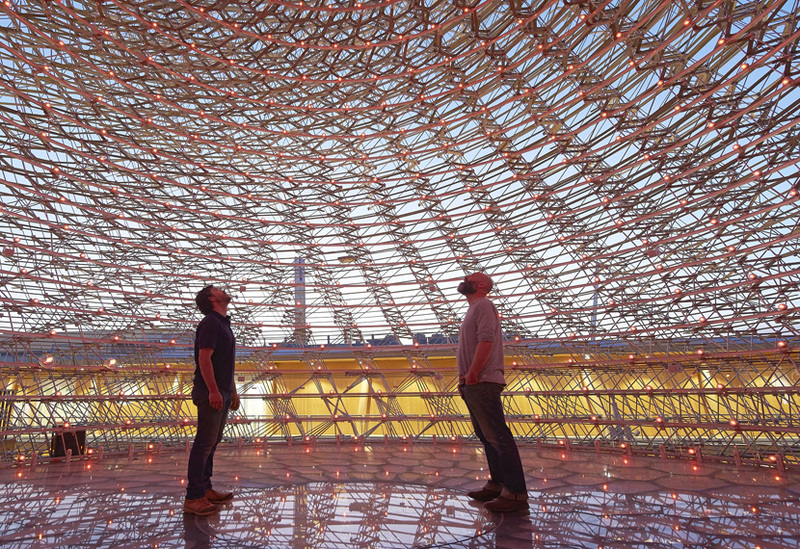 We’ve spent the last year working closely with artist Wolfgang Buttress, specialist structural engineer Tristram Simmonds and landscape architects BDP in order to realise the design in under 12 months, in good time for the Expo’s opening on May 1st. 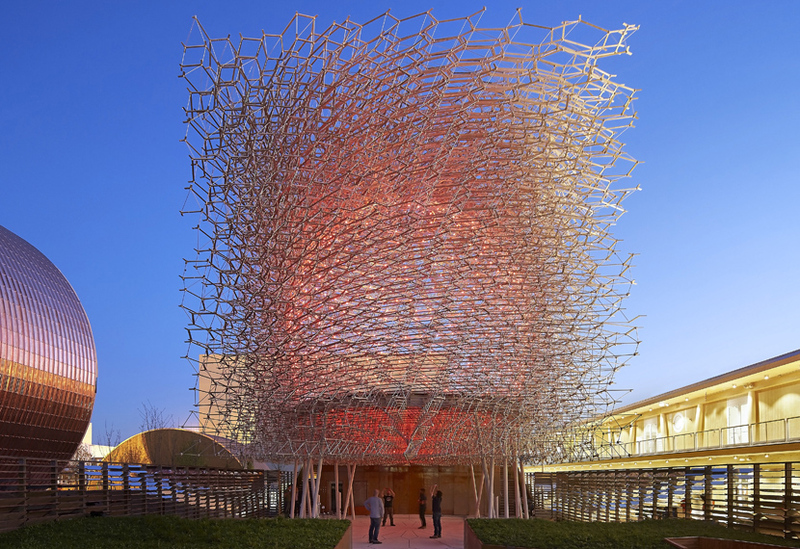 The UK’s long and narrow plot lends itself well to the meandering narrative of the bees’ journey through orchard, meadow and into Hive. 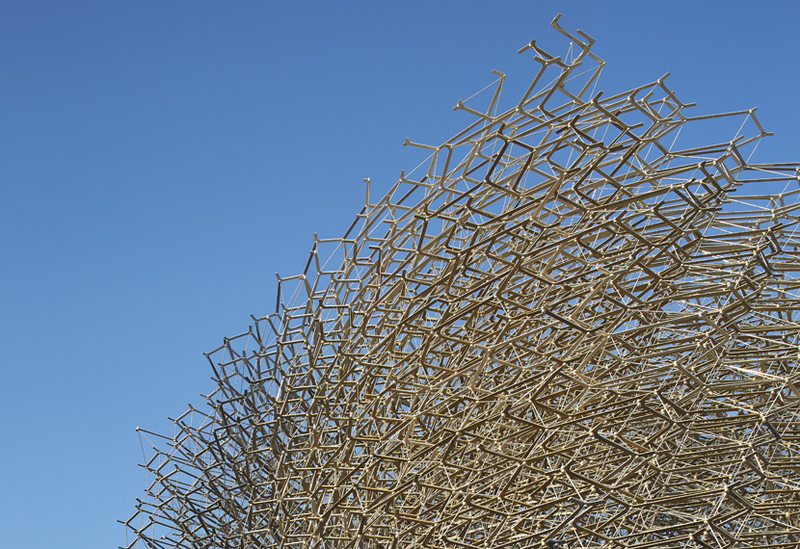 The living, growing elements of the site mean that the context of the Hive will change and develop over the summer, so check back regularly for more updates and photos. 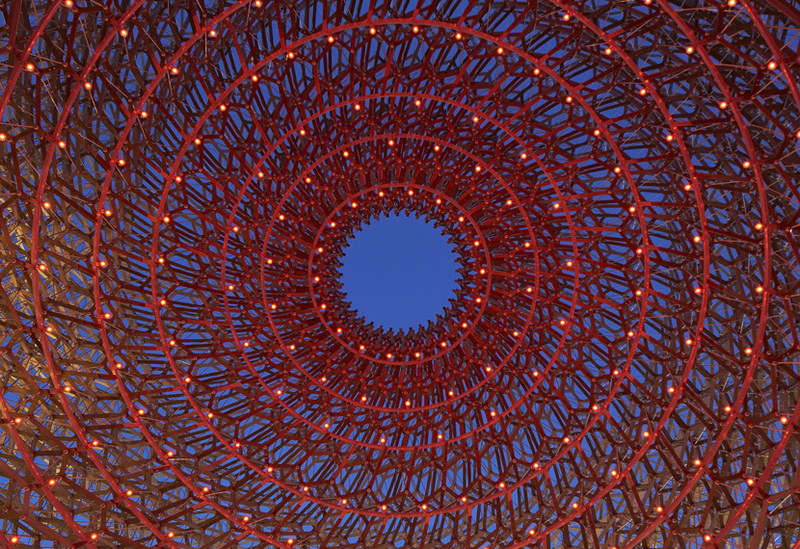 For the detailed story behind the manufacture and construction of this fascinating structure, click here. 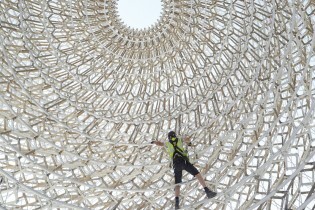 All images courtesy of UKTI.